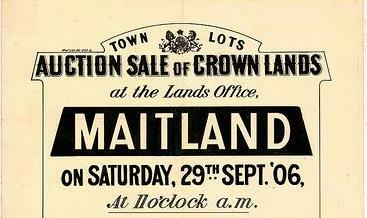 Auction sale of crown lands at the Lands Office Maitland, 1906. From the University of Newcastle, Cultural Collections. New and old Belmore Bridge from the air, Maitland, 1963. From the Athel D'Ombrain collection, University of Newcastle, Cultural Collections. The first European inhabitants of Maitland were convicts who were allowed by the government to colonise the land after their indenture ended. Originally known as Wallis Plains after a Commandant of Newcastle, Maitland was surveyed in 1829. 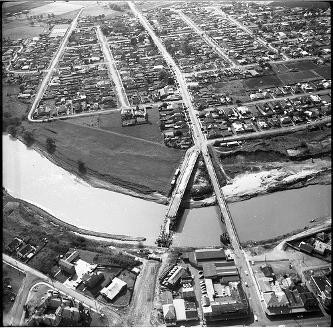 Maitland’s central position in the Hunter Valley and proximity to the shipping port of Morpeth quickly made it a hub of transport and commerce. Many came seeking a better life, including Scottish, English, Irish, German and Jewish migrants. 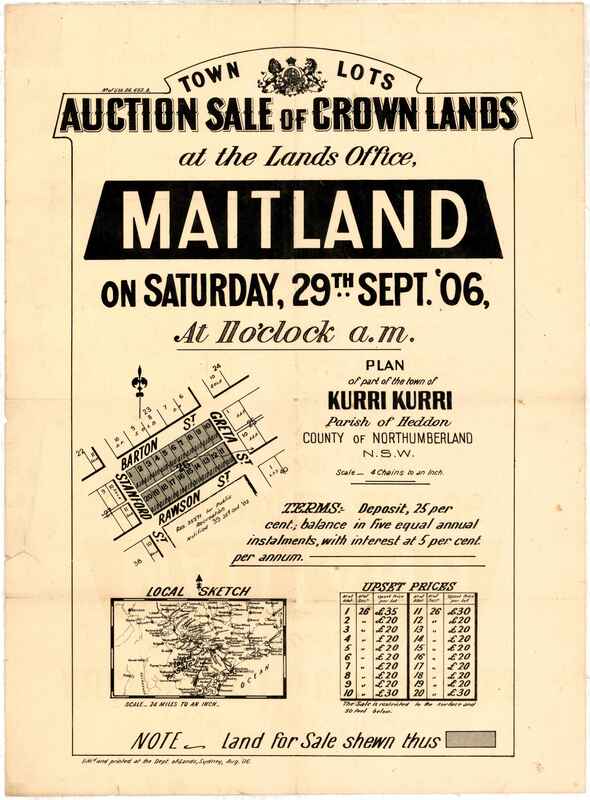 The alluvial flats of Maitland were promising for farmers; however, devastating droughts and floods swept the town. The connection of Maitland to Newcastle by railway in 1857 and subsequent rail connections secured Maitland as a transport hub of the Hunter Valley. The Hunter Valley coal industry also touched Maitland. J & A Brown started their business by mining at Four Mile Creek near East Maitland. The discovery of high quality coal by Sir Edgeworth David at Deep Creek (near Abermain) encouraged development of the South Maitland coalfields and Greta coal seam. This industry was supported by the building of the private South Maitland Railway. 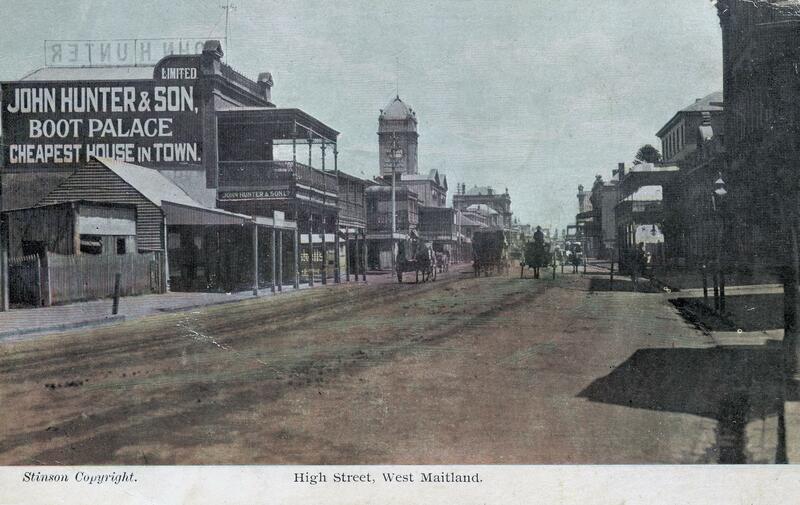 High Street, West Maitland. Courtesy of the Newcastle and Hunter District Historical Society.